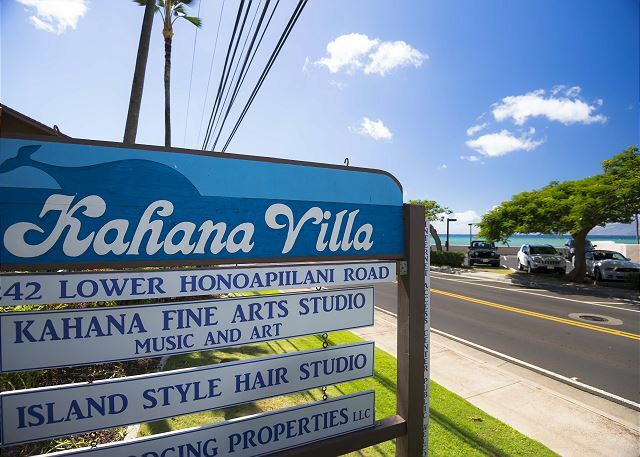 Welcome to the Kahana Villas and our beautiful newly remodeled high end furnished condo. A wonderful view of the ocean and the tropical landscaped grounds are yours to enjoy in this 4th level ocean view one-bedroom, one-bath condo. This home sleeps four with a heavenly king bed in the bedroom and a sofa bed in the living room. 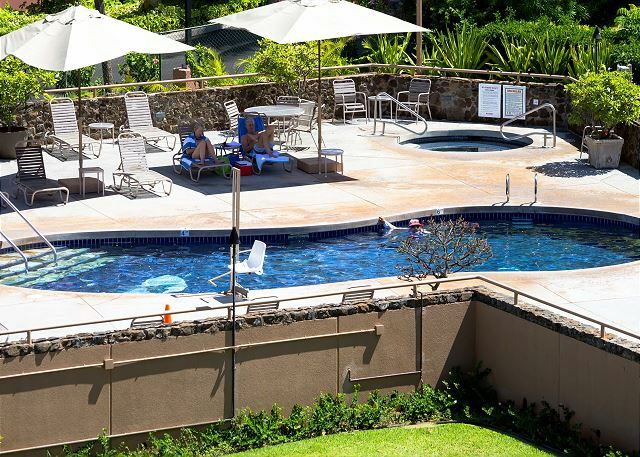 There is easy access to the pool, jacuzzi, tennis courts, the ocean, and the gardens. It's great for entertaining. The pleasant island style furnishings and fully equipped gourmet kitchen provide an environment where guests can feel comfortably at home. For your indoor entertainment pleasure, cable TV in the living room, a CD and DVD player are provided. We have free WIFI in the condo for your use. The codes are on the WIFI box. The large lanai is a marvelous place for relaxing or dining. We had a great week in this condo. It was very clean and comfortable. There is easy parking. Management were very helpful and accommodating. One of the best features is the ocean view. We watched whales from the lanai every morning. 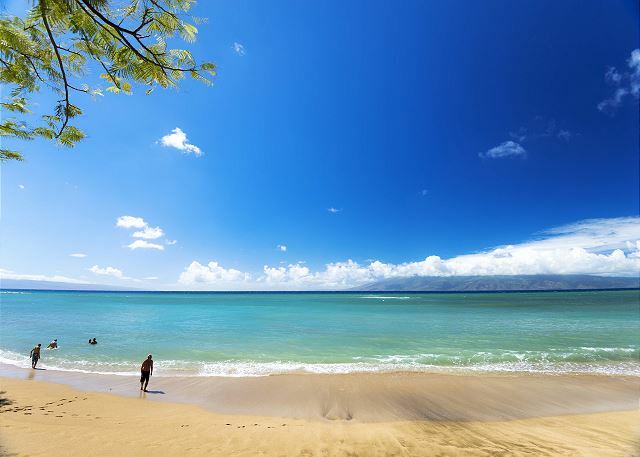 There are local shops and eateries if you just want to take it easy, but Lahaina is only 10 mins away if you want a wider choice. 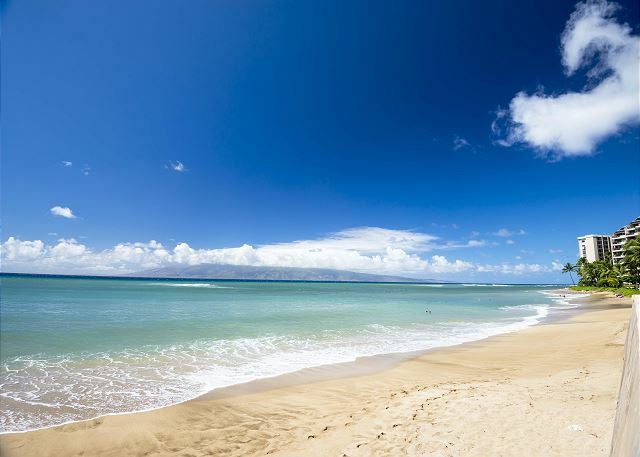 Kahana beach is just across the road and is a nice soft sand beach that’s good for a gentle swim or play (there is a bit of surf further out at the reef). Our favourite beach for boogie boarding (DT Fleming) is just 10 mins up the coast. Outstanding cleanliness upon arrival. View, convenience, comfort of furnishings were excellent. Will stay in this particular room when returning to Maui. The unit above us, #506, provided constant noise. All else was very good. I would stay at this facility again but not in unit 406. 5/5 stars Review by Sherry J. We had a lovely time, the apartment was bright and sunny and with the breeze we did not need the air conditioner. The view was beautiful and we enjoyed watching the whales and the sunset everyday. It would be nice if there were more pickle ball court available locally, we ended up driving into Kihei to play. Overall we had a good trip and any issue with the apartment was dealt with very quickly and professionally. This condo with this view is amazing! The sliding glass door is huge so you get floor to ceiling, wall to wall views of this stunning view. It has a washer/dryer and dishwasher, along with POOL ACCESS! That was an awesome surprise for us. You just have to go down to the office to get your key. This condo is kitty corner from a local beach where we saw ton of turtles!! We will definitely be staying here again on our next venture to Maui. 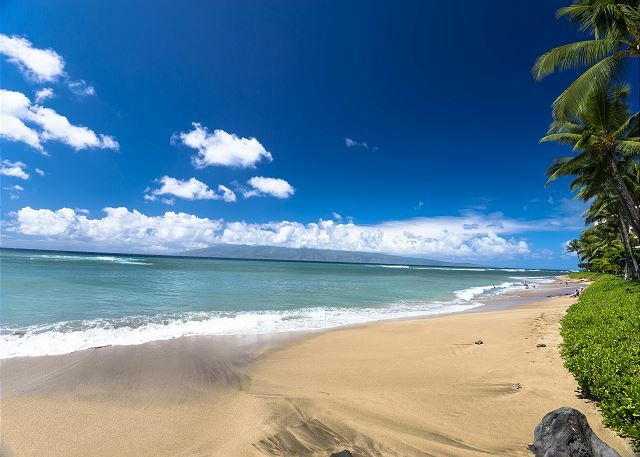 This location is about 15 mins from front street in Lahaina, so you can get to the night life, food and shops but are staying in a much quieter location. Loved staying here!!! Thank you for opening your home to us! 5/5 stars Review by Treva W.
5/5 stars Review by Earl J M.
4/5 stars Review by RA-bernadette m.
The realty gave easy instructions to get to the place and how to get into the place. The condo was clean, stocked with everything you need, and check out was easy. 5/5 stars Review by RA-Sherry L.
Everything is nice and clean - kitchen, living, bath, and bedroom. Balcony has a nice view of the ocean. We are happy staying there, and definitely will return. 5/5 stars Review by Chris K.
5/5 stars Review by Helia S.
The management company was very organised. We received several email including access code and apartment address. The apartment was clean and spacious for us (family of four). There are clean towels, toiletries,toilet papres, dishwasher and washing machin saops with some extras available. The location was great too. You can see the ocean frpm balcony. Overalls very happy with our choice. Hi Helia, We are so happy to hear you enjoyed your stay at Kahana Village F406! Please let us know if you plan to come back to Maui. We would love to accommodate you again! 5/5 stars Review by David C.
terrific condo across from beach. Only caveats- noisy neighbors above and middling shower flow. 4/5 stars Review by TA-Shalin P.
We booked our vacation from tripadvisor (flipkey) website. The management was quick to response to our question and very informative. The condo is on the 4th floor and have a nice ocean view. 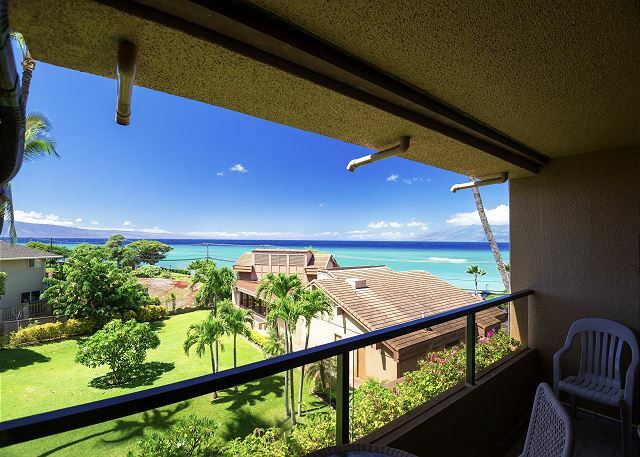 However since it is not directly in front of the ocean, you will have a partial ocean view. It was clean and all amenities as advertised. 2/5 stars Review by David M.
Very very happy. Helen was great! Great view, surfers, whales and turtles. Comfortable bed, convenient kitchen. Close to shopping and the beach. As soon as we opened the door I looked out the back porch and WOW we saw whales jumping! We were happy with the condo. Lovely view from the lanai and being able to see and hear the ocean is worth a lot. The pool facilities were really nice and clean and the tennis courts were in great shape. The kitchen could use some extra dishes (only had 6 dinner plates) and there were no hot pads and only two pots BUT we weren't there to cook gourmet meals but to enjoy the beach. The sleeper sofa was comfortable and the condo seemed spacious for our family of four. It's an easy walk across the street to the ocean. The bar and grill across the street has nice happy hour menu and great ocean views. The property manager was very responsive. You're supposed to get a parking permit from the front office which wasn't communicated to us in advance but it wasn't a big deal. Overall we were very pleased and would recommend this unit. 5/5 stars Review by Amelia W.
We had a very relaxing stay. The view was stunning and the unit was neat and clean. The beach was only a few steps away! 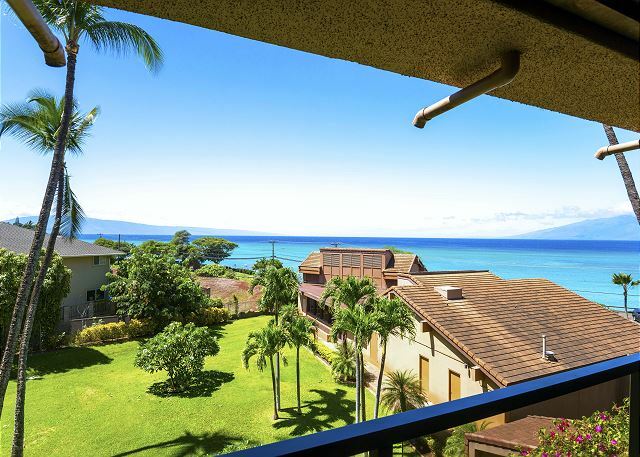 5/5 stars Review by Airbnb Artem P.
Great apartment, the view was gorgeous and a very convenient location to all the stops in Lahaina. Very pleased with the condition the place was in. 5/5 stars Review by Tina F.
4/5 stars Review by Airbnb David B. Nice condo, clean and well located. Found little things a issue. Missing items in the kitchen like a plastic egg lifter, etc. 5/5 stars Review by Lea S.
This property is clean, quiet and within walking distance to restaurants, markets and the beaches. We were very comfortable and felt like home. We booked last minute after cancelling at another location which was under extensive repairs. We were pleasantly surprised at the savings for our stay compared to what we had been looking at. On arrival, the unit was not very clean. The carpeting had many unsightly stains, the furniture had stains and spills and the throw rug in the bath was so stained and full of hair we wouldn't go without shoes in the condo. Most of the lights in the bath were burned out, the toaster only toasts on one side of the the appliance. There was no pool key to access the pool. To their credit, when we called Epic, our agent got a maintenance person there right away with light bulbs and scheduled the carpets to be cleaned. It did keep us out of the unit for 1/2 a day however and we dealt with wet carpeting for another day or so. Fortunately, we brought items with us as there was no salt or pepper, no dish washing soap, extra toilet paper, tissues or other sundries. No guide for the TV / cable channels, a pot handle fell off the first and only time we cooked with it. 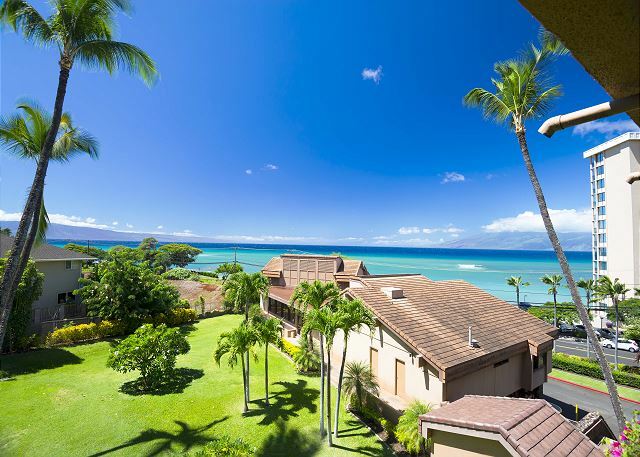 Overall, the condo condition was not what we expected or have experienced with other units on Maui and Kauai. Our recommendation to improve would include management inspections after housekeeping to ensure the unit is clean, adequately stocked with supplies and cooking items are clean and in good condition. This could go a long way toward return clientele and future recommendations. 5/5 stars Review by matt a. A wonderful unit with an amazing view! Great experience. Would definitely recommend this unit as we would love to stay there again. 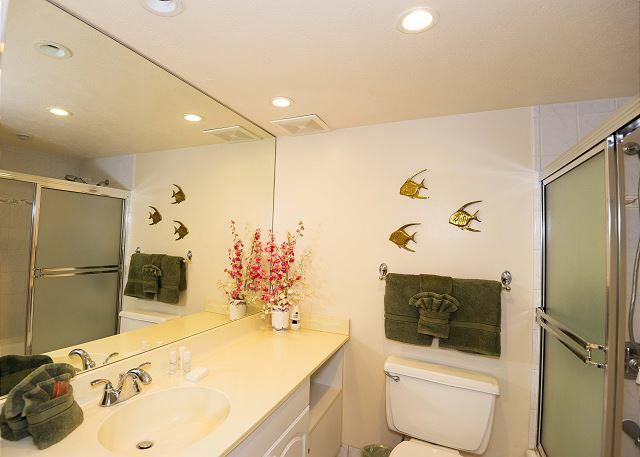 This condo is neat and clean but it lacks in two ways. There is no central air conditioning and you need it! Their is an individual unit which is very noisy in the living room. It vents to the outside balcony so you can't have it on and sit out. No air reaches the bedroom which remains very hot. No air flow even with windows open. We found it very hot and difficult to sleep. The unit is in a residential building, not a vacation spot. It is too far from the beach which has to be reached by walking across a street, through a parking lot and down a sketchy path. Not much beach there. Great beaches nearby to drive to. 5/5 stars Review by Pamela S.
5/5 stars Review by Susan M.
5/5 stars Review by Enid B.